The development of Waminda’s Cultural Committee progressed gradually in response to needs expressed by the Community, staff and organisation. 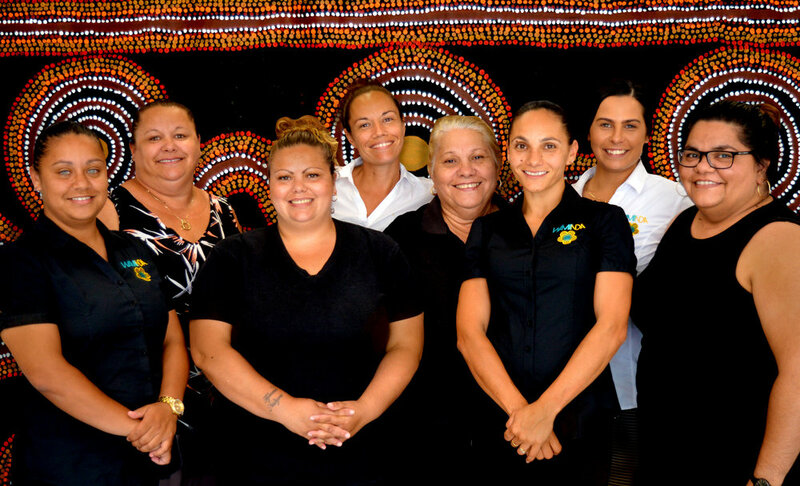 The committee is made up of local Aboriginal women employed at Waminda who self-nominated and are willing to share and grow their cultural knowledge in a safe and respectful environment. This knowledge is used to ensure Waminda operates as a culturally appropriate service in line with practices and protocols, provides culturally safe programs, to mentor and ensure staff are culturally competent, naming programs with traditional language, and to inform organisation decisions from a cultural perspective. Committee members speak of their passion for their culture and their people. ‘Our people’s strength and resilience against the westernised world is important to remember when making decisions within the organisation’. ‘Being on the Committee provides a platform for these Aboriginal women to come together and have their voices heard on a different level within Waminda’. This developed even further to include formal education and engagement sessions to inform and bring awareness of Aboriginal culture to others. These ‘Cultural Immersions’ are run by members of the Cultural Committee to promote Koori culture and to challenge conventional views. Waminda has hosted Cultural Immersions for key external service partners and members of government, which has initiated culturally appropriate changes within their respective services and strengthened partnerships. This approach allows other organisations to hear from local women at a grass roots level, and initiate an interest and awareness of Aboriginal culture from a face to face experience, out on country. The Cultural Committee is looking forward to creating better relationships with services where our women have had negative experiences in the past, in order to initiate positive changes and have their voices heard. The committee will continue formalising its purpose and roles of staff who share family cultural knowledge to be part of the Cultural Committee. The members have not planned a path for the Cultural Committee, but are excited to know that it is evolving into what it needs to be, ensuring Waminda will always be true to the conception and grass roots of the organisation all those years ago and to continue to build on the service’s strong foundation.